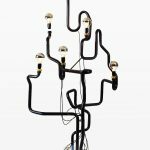 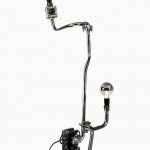 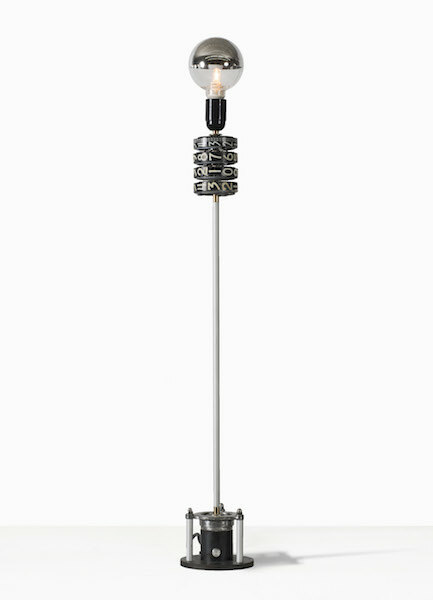 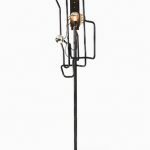 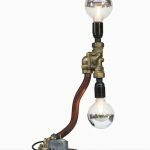 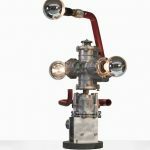 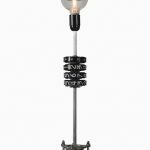 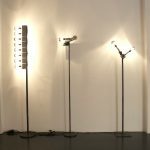 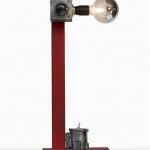 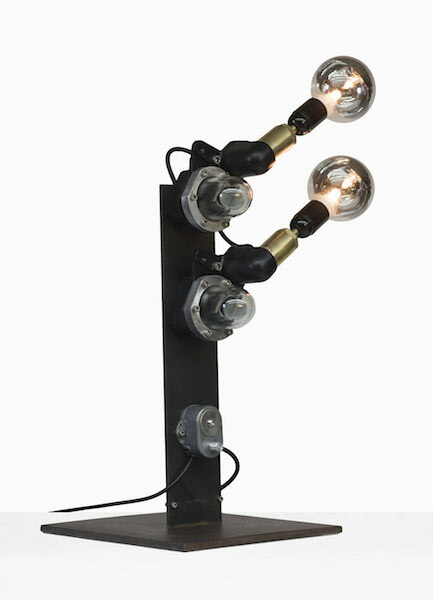 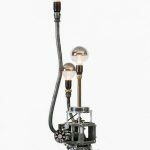 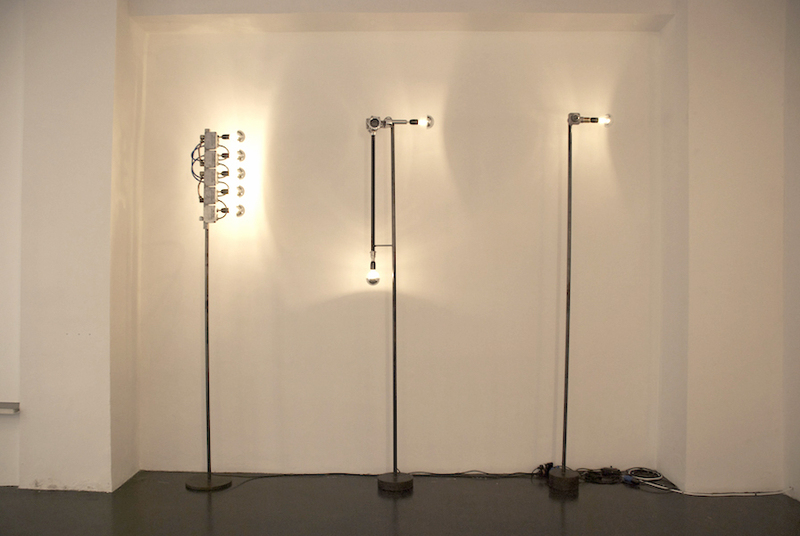 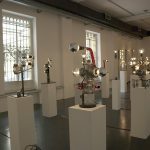 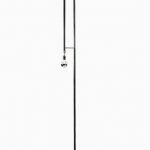 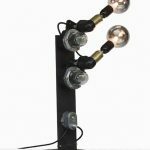 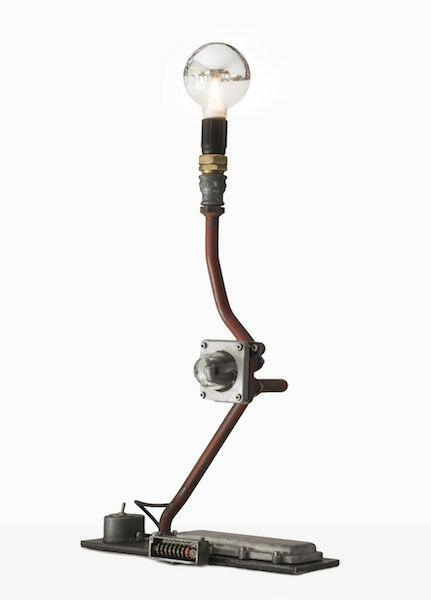 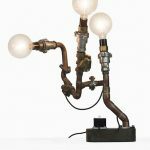 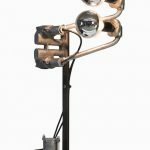 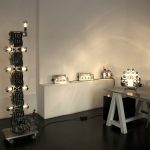 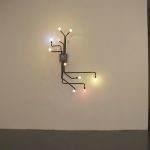 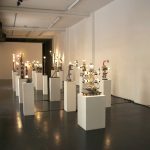 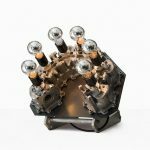 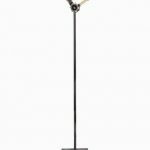 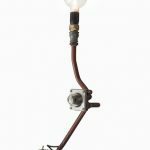 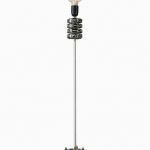 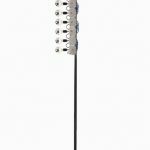 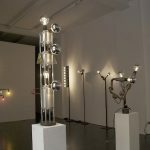 Luci Meccaniche is a solo show by Giampiero Milella dedicated to his series of lamps, which he realizes by decomposing and then reassembling pieces of abandoned petrol pumps. 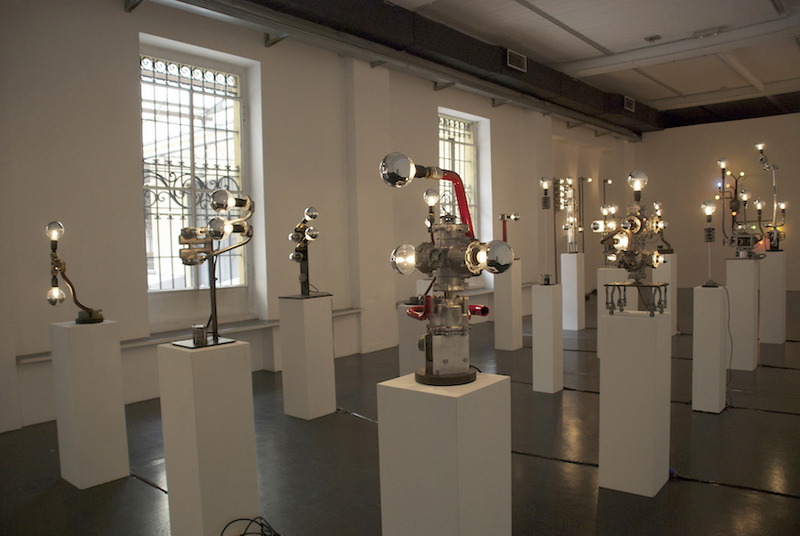 The show is open from April 13 to 17, between the hours of 14:00 – 19:00 and from April 20 to 30, 2016, Wednesday to Saturday between the hours of 14:00 – 19:00. 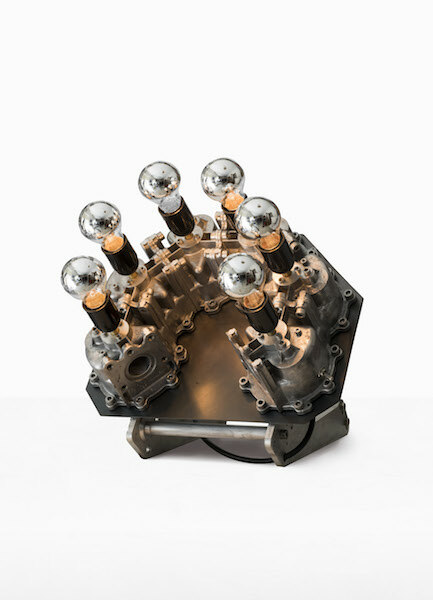 In his sculpture, Giampiero Milella seems to reflect in solitude on various concepts concerning the idea of machine and how it is invading planet. 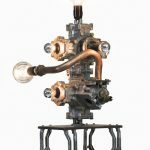 Recently, the idea of machine has evolved from mechanical processes to automated, electronical, invasive and universal languages. 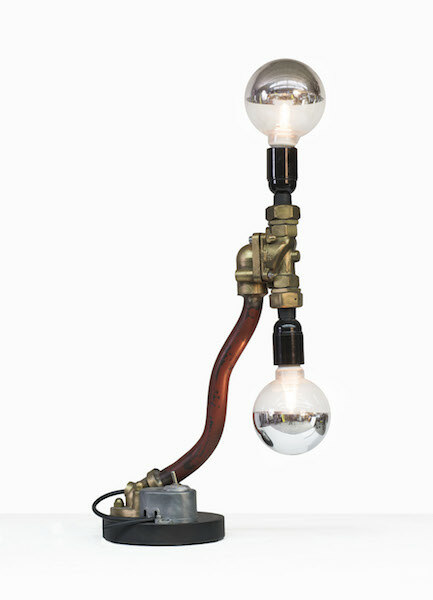 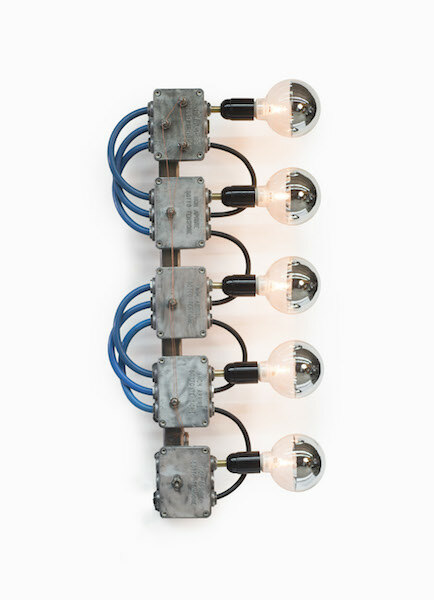 Milella manipulates metals: iron, copper, bronze, steel, tin. 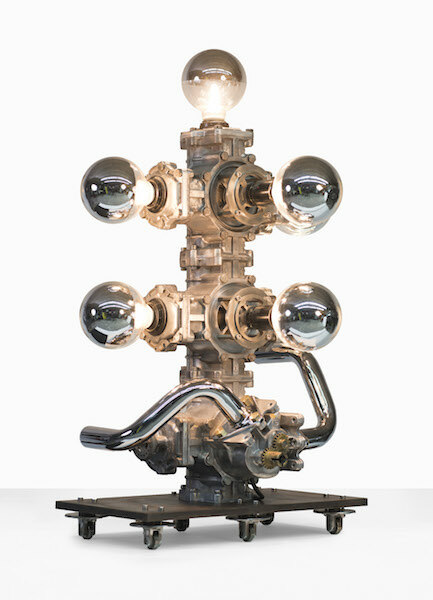 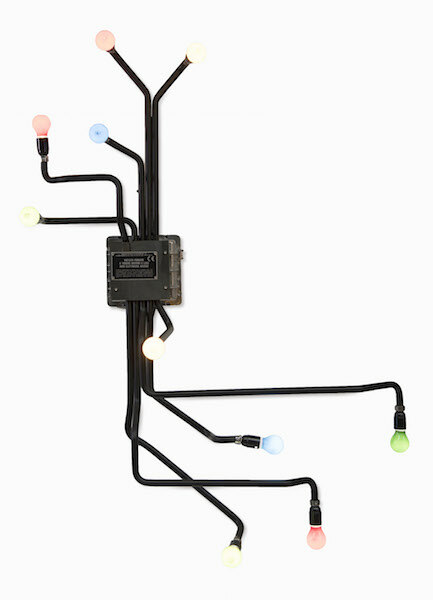 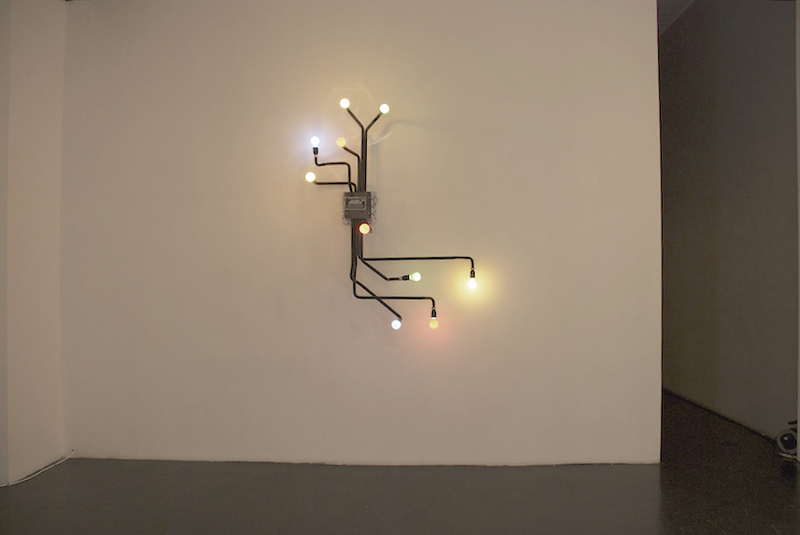 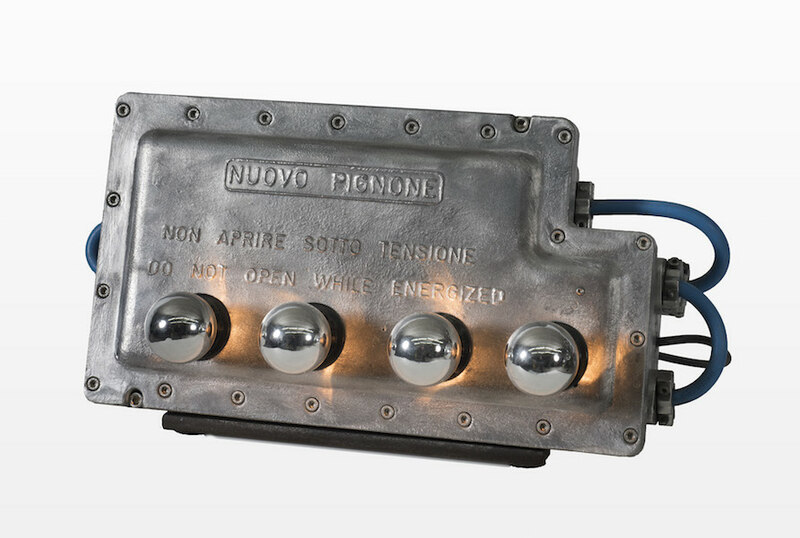 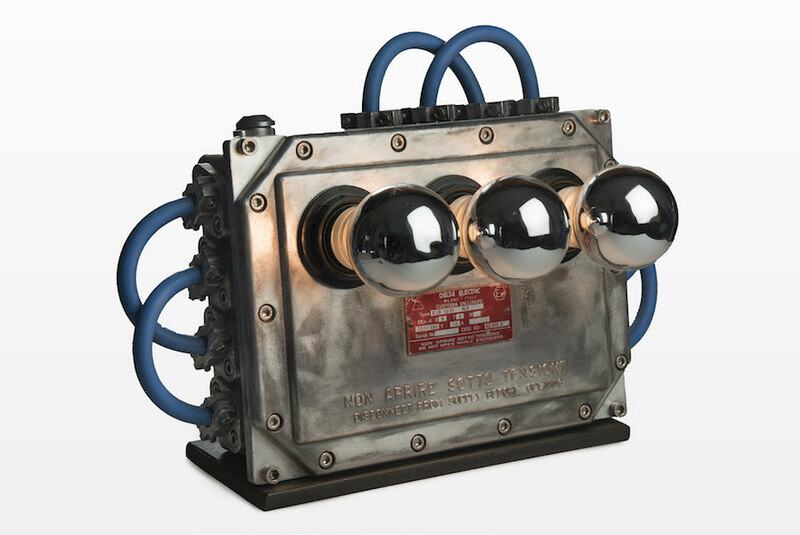 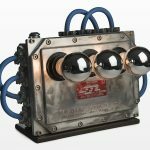 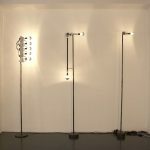 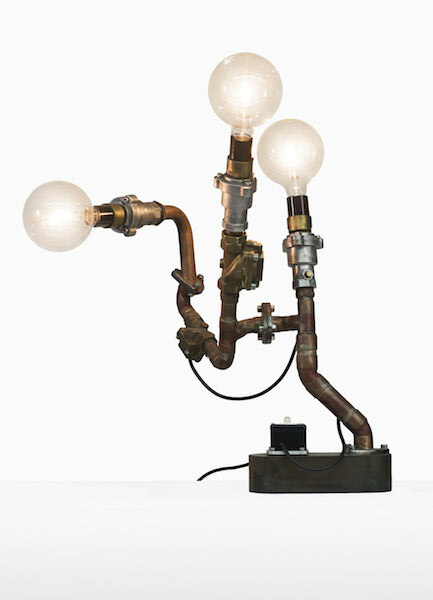 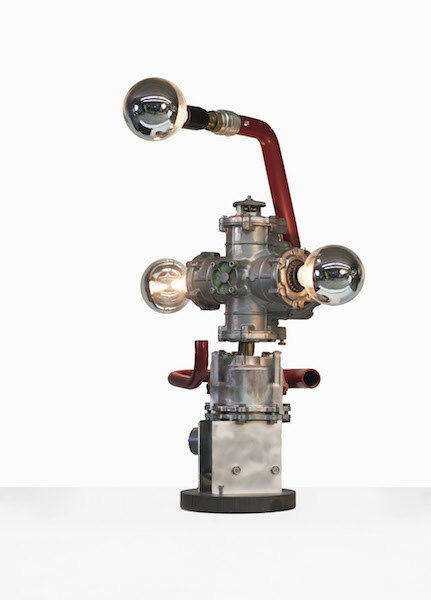 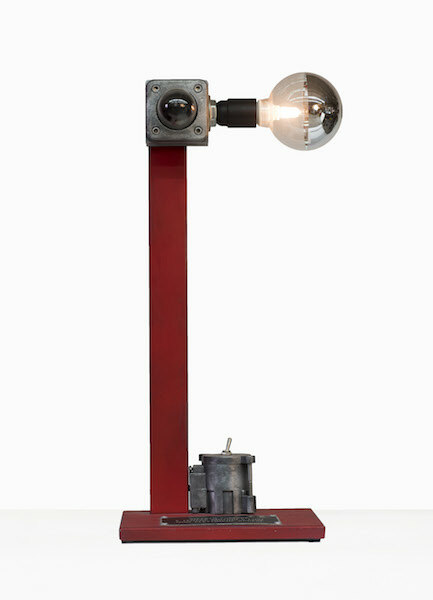 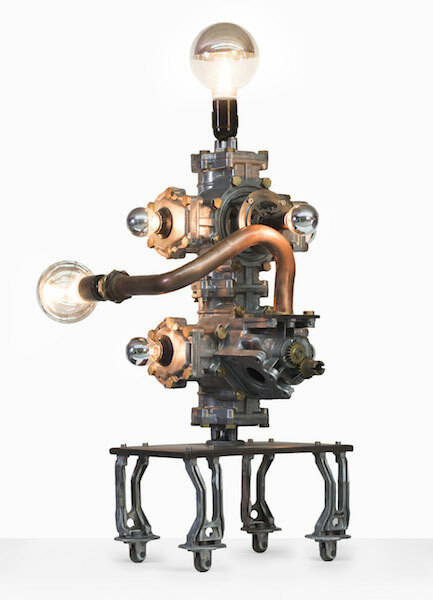 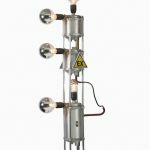 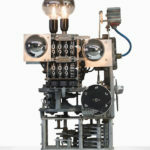 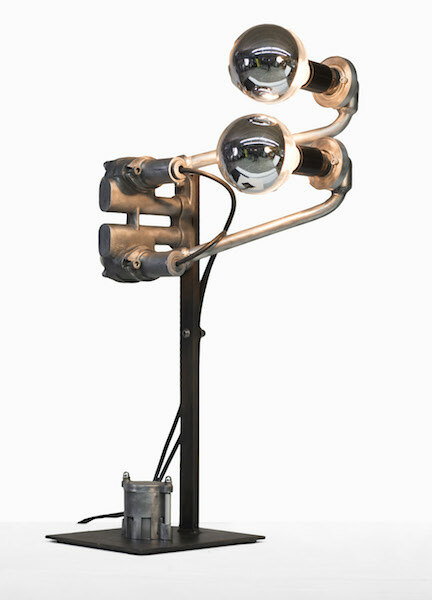 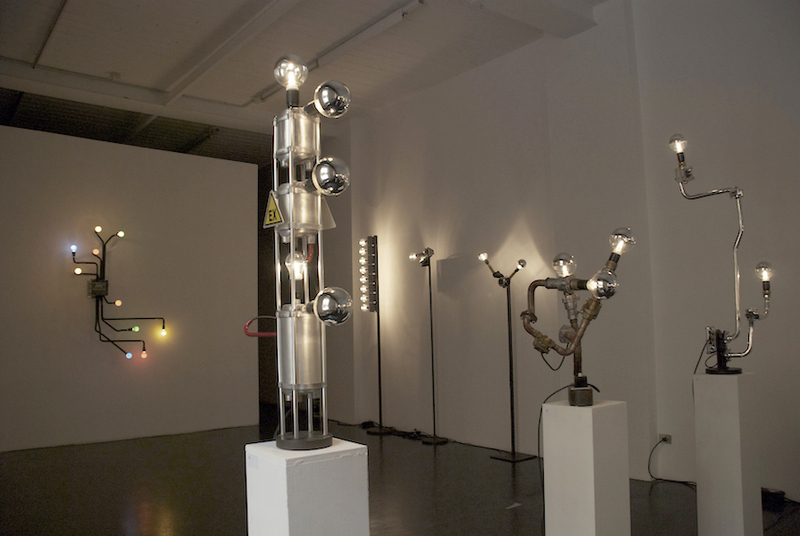 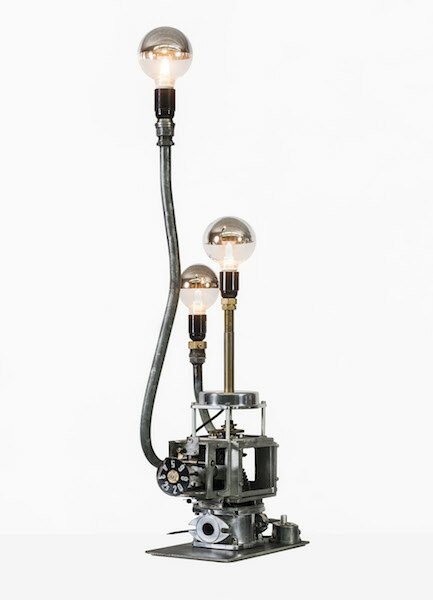 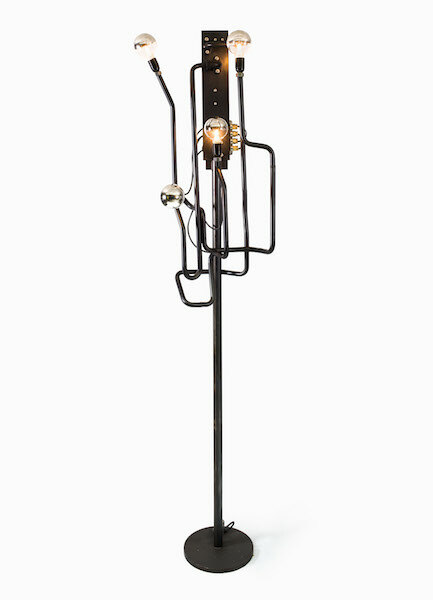 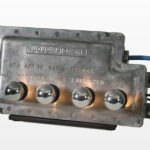 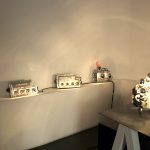 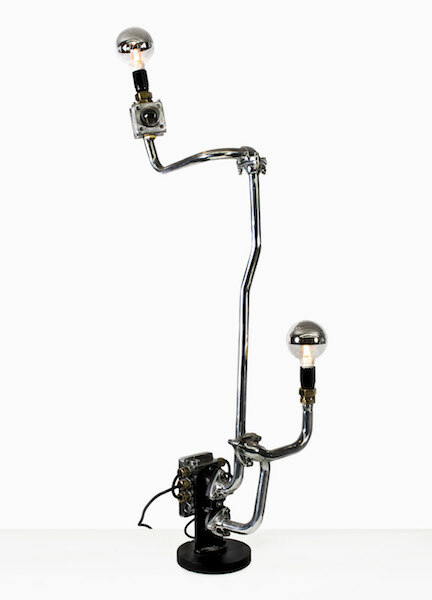 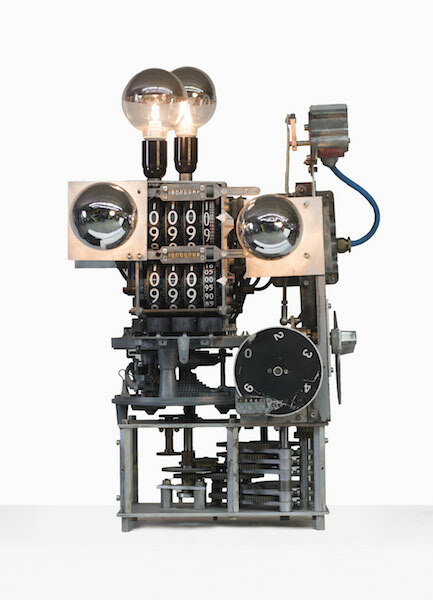 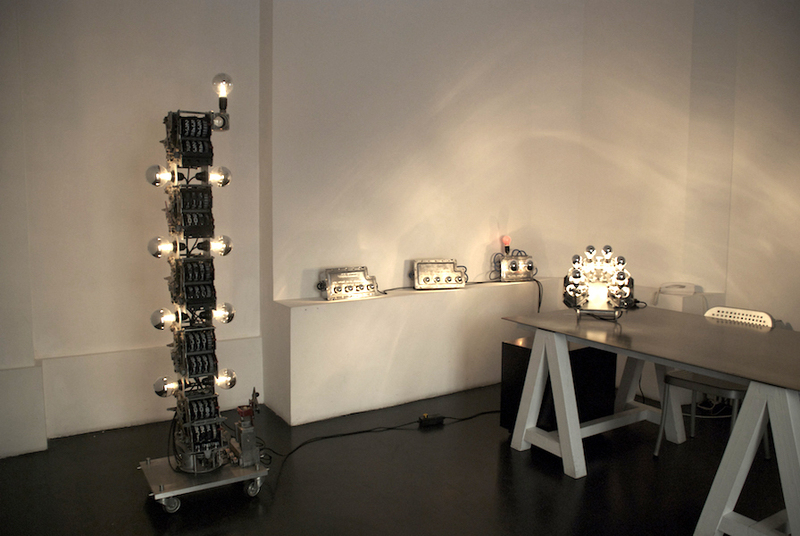 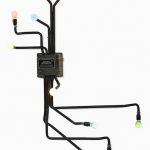 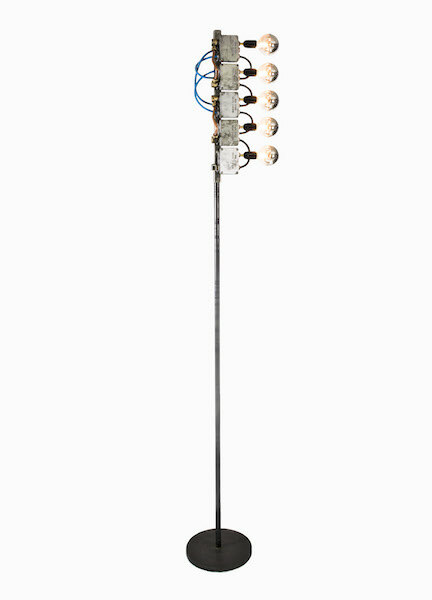 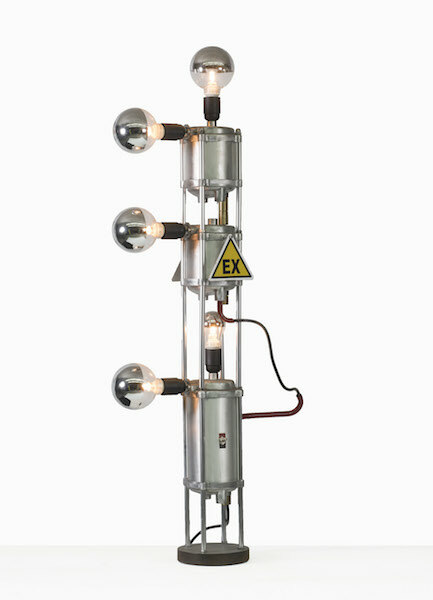 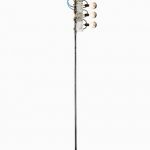 In the series Luci Meccaniche, Milella uses the innards of abandoned petrol pumps as a mine for his highly personal alchemy: petrol meters, transmission or connecting tubes, gauges, lights, transformers, mechanisms. 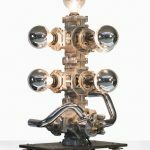 He chooses the “pseudo-organic” remains of one of the most common and widespread mechanization methods of today: the distribution of petrol. 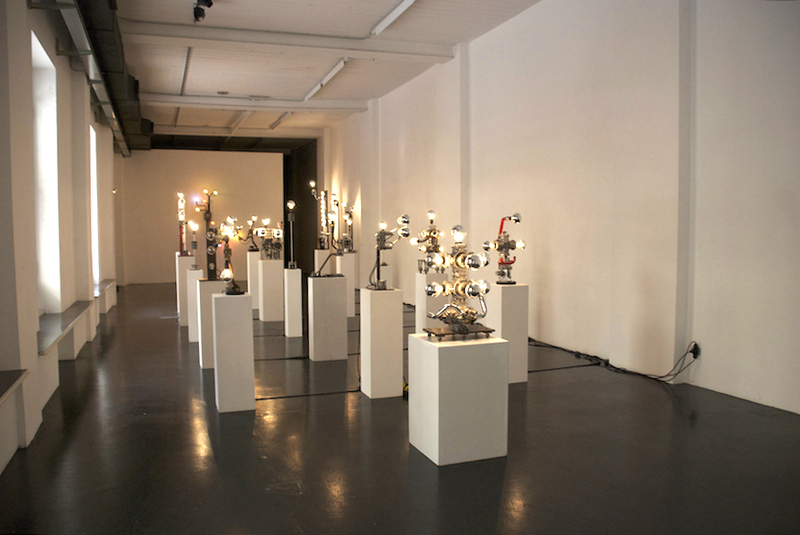 This process works similarly to a cardiovascular system that aids the motorised system of our mechanised age. 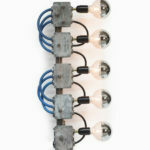 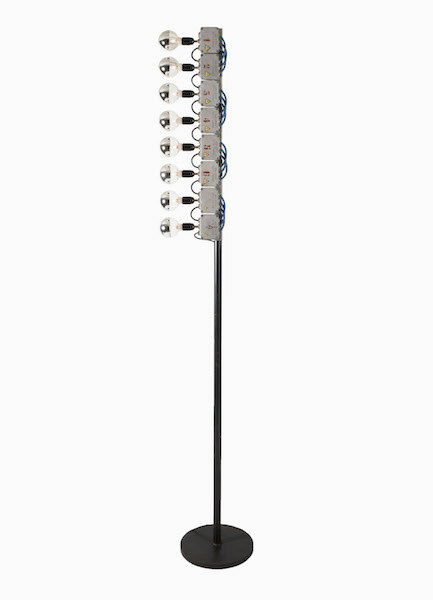 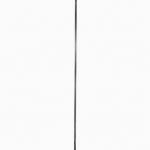 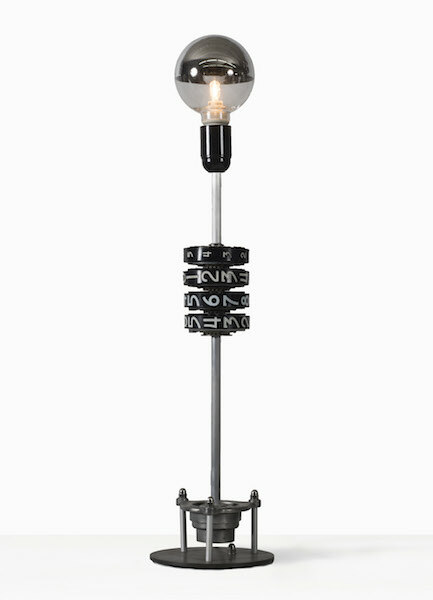 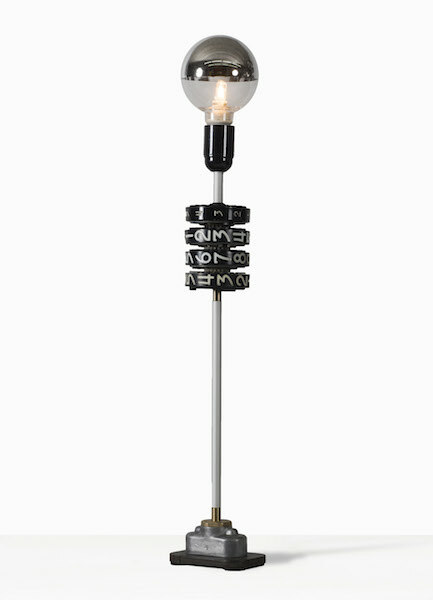 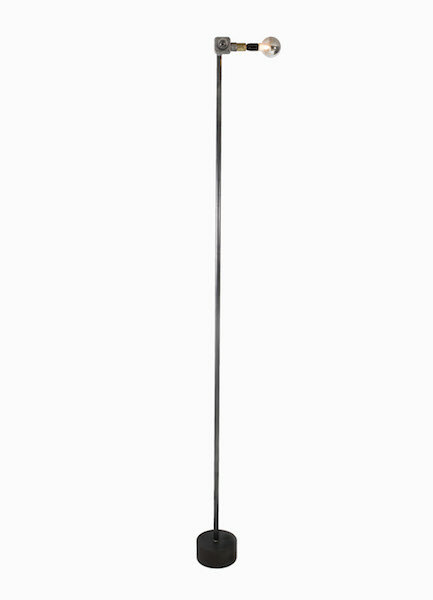 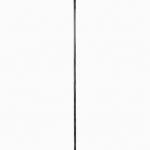 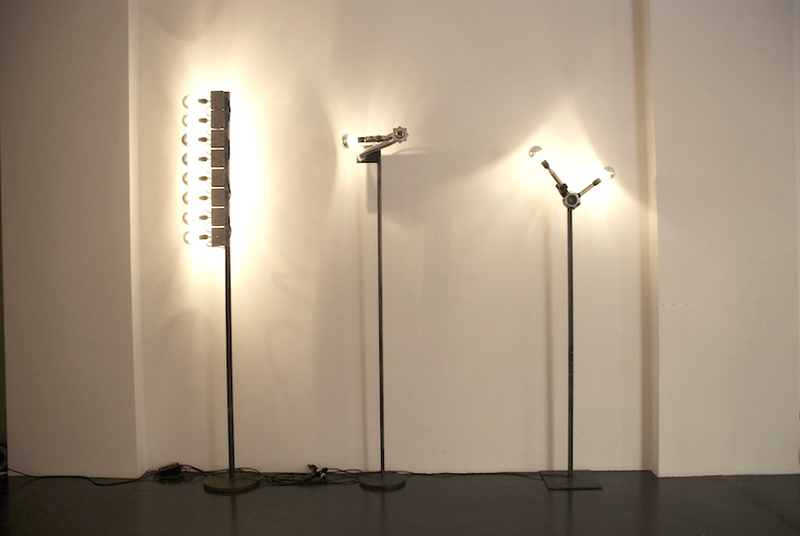 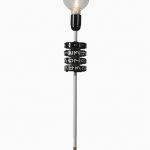 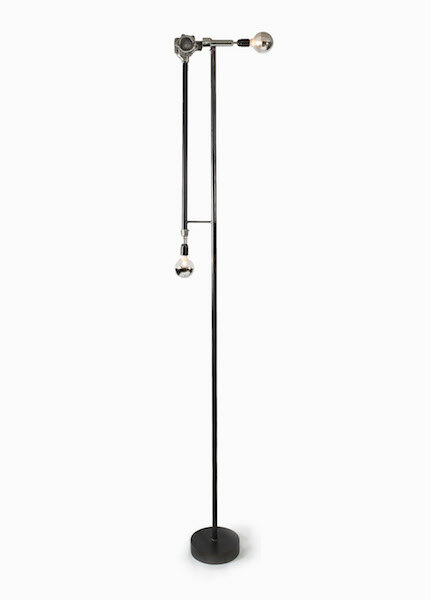 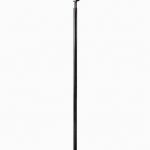 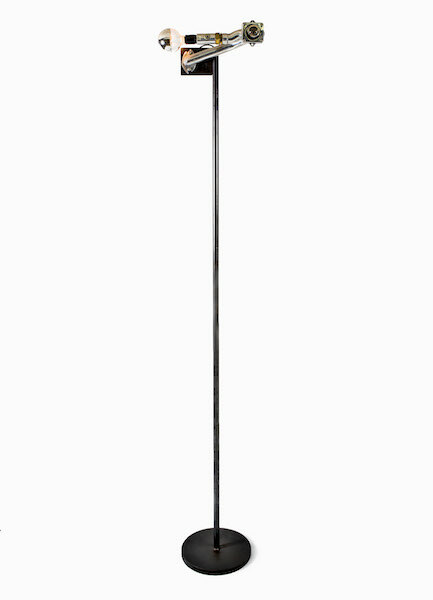 From what should be insignificant waste material, Giampiero Milella creates new light, new forms. 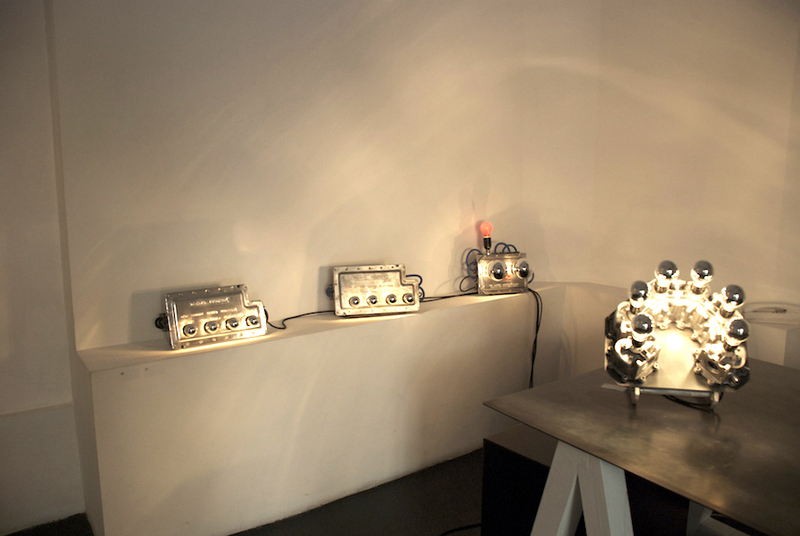 What is humble and forgotten is recomposed into functional sculpture. 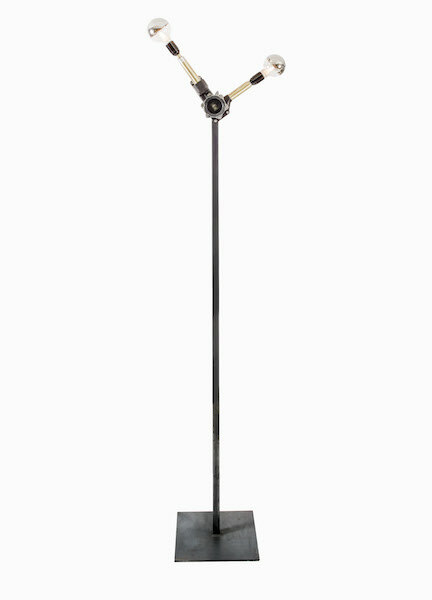 He encourages us, with humility and simplicity, to turn on the light; never, in his sculpture, does he deny the blinding darkness of our present. 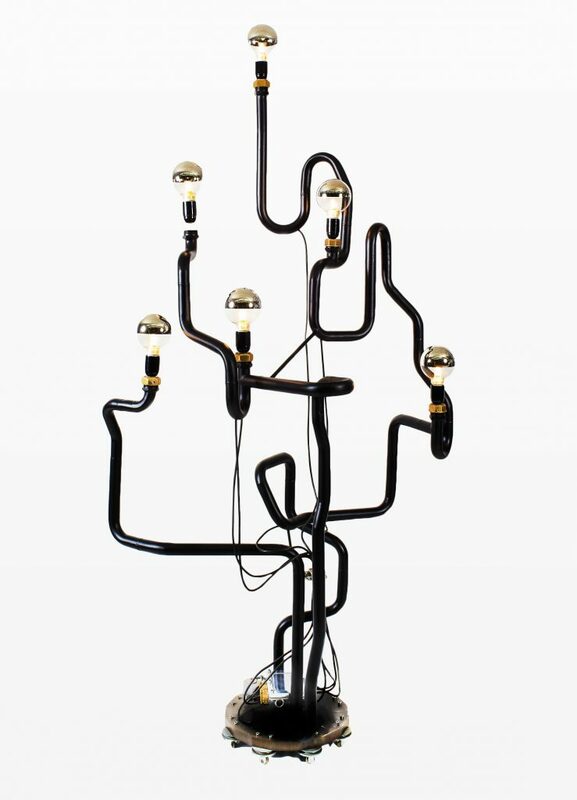 Giampiero Milella was born in 1951 in Bari, where he still lives and works. 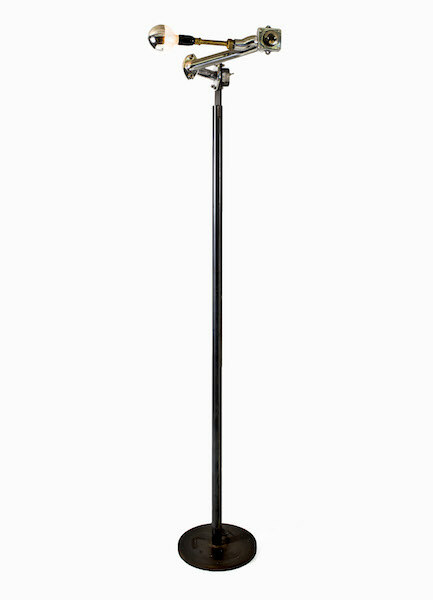 He has had different jobs in his lifetime, in different fields, from car dealership to construction business. 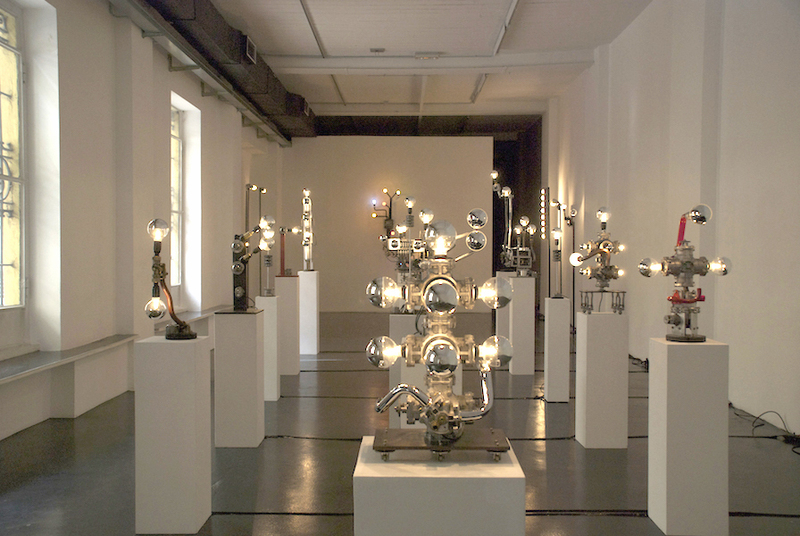 Yet his original perception has always been bond to the one of the artist. 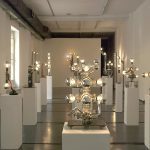 His work has been shown at the Museo Pino Pascali (Polignano, 2102), the Benaki Museum (Athens, 2012), Museo Bagatti Valsecchi ( Milan, 2014) and at Barneys New York ( 2015).